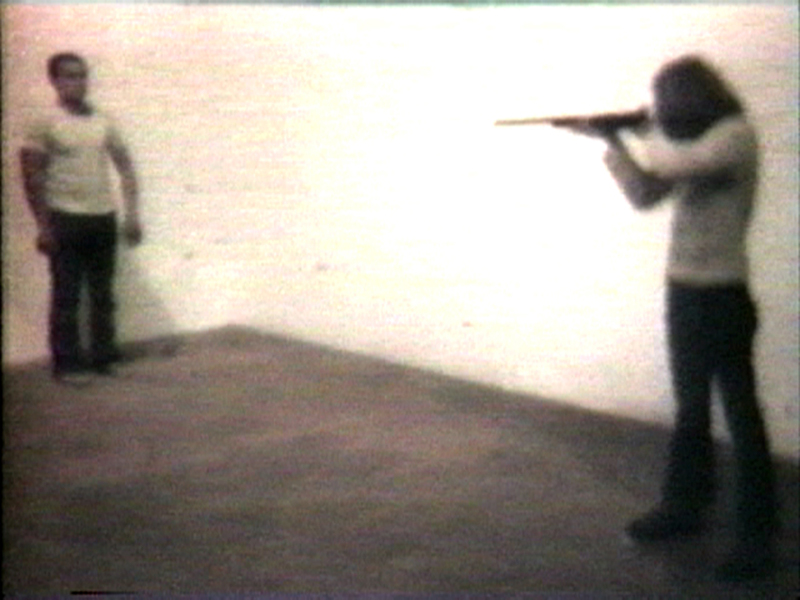 This entry was posted on Friday, April 22nd, 2011 at 10:42 am and is filed under "Heroes": 1977. You can follow any responses to this entry through the RSS 2.0 feed. Both comments and pings are currently closed.
! Thanks for the mention! I’ve actually been thinking about the connections between those artists/Bowie for awhile, this impending blog post was a great impetus to start getting it out there. Of course, once I started my piece, I realize there’s probably an entire thesis to be written about Bowie’s fixations with modern performance art. Also pretty great, too, is how the line directly preceding that section is “you can, by God (or is it “you can buy God”? )” He says it, but then kind of realize that isn’t the direction he wants to go in, then switches tack completely, leaving that train of thought forever incomplete. Yes, yes, a masterful piece of work all around. Ian, I’ve always remembered that same interview with Eno — or another in which he said the same thing. About “It’s Monday,” I recall that his exact words are, “That’s a real stunner.” And it is, even after listening to the track closely thousands of times over the thirty five years since the album was released (and I got it the day it streeted). The top photo really isn’t the most tasteful of things to run on Good Friday, but truly it wasn’t intentional—entry was supposed to come out yesterday. No offense meant. The “it’s Monday” part always reminded me of some updated bastardised version of the McCartney middle section from Day in the Life….. In all fairness, “Heroes” is the first entry in the PItchfork 500 song list, which includes noting from Low (or any other Bowie record). Visconti has said that he considers “Heroes” as a better version of Low. Yes. Low is more withdrawn and introspective… you get the feeling that Bowie really opened up a vein on that first side, stripped away all artifice and just presented himself … Heroes is similar in many ways, but overall it feels like a return to the Bowie as showman persona. Which is all to say that’s why I think Low is considered the greater work, though both are excellent. Regarding Joe the Lion, I was always astonished by the relentless, hesitating, constantly-building-but-never-peaking guitar riff that fuels the whole song … great stuff. It’s “you can PLAY god”, isn’t it? “You can buy God” is on the LP lyric sheet. Just on the relative critical receptions given to Low and Heroes, it’s interesting to note that at the time it was pretty much the reverse. Heroes was album of the year in more than one UK publication, whereas Low was just about tolerated as at best a necessary evil that enabled Heroes. I always that it was ‘buy God’. I think it’s ‘buy God’ too. It is “buy God”. He’s talking about smack. Apart from the Heroes album’s musical attributes, I love the cover. I think that the cover perfectly matches the music in the grooves. To me the music sounds black, and I don’t mean as in black American black, it just sounds black. Joe the Lion is a perfect example of that. McCartney should cover it then! Heroes is a great album but from a lyrical standpoint it has less to say than low but they are so well delivered and the vocals so ‘mannered’ he could be reading the phone book it has as much to say in my opinion. Joe the lion being a case in point he delivers each line almost in such a manipulative way that it gives ‘meaning’ and depth to nothing much , take the sparse lyric sheet and read the words!!! I always considered joe to be almost a filler and like secret life of arabia but I think this is because anything that precedes or follows the epic title track seems half hearted lyrically weak and musically rushed. I much prefer the music only titles. It was far better received at the time and self referencal ad campaign worked in its favour. i never had much interest in the lyrics of these albums so this connection comes as a surprise. the whole review definitely made me go back to the record again for re-appraisal. great stuff, thanks. According to a 1979 Q&A w/ Robert Fripp the working title for Joe The Lion was John The Lennon. This fascinates me. Could you possibly cite that Q&A? I’d love to read it. Many thanks. As Bowie improvised the lyric at the mic, I’m imagining that he sang out the words, “John the Lennon went to the bar,” in which case it’s possible that he was remembering some marathon boozing with the Beatle. Bowie was in the depths of drug and alcohol abuse in L.A. in the mid ’70s at the same time that Lennon and Harry Nilsson were there drinking themselves silly, so it seems likely. We can only speculate, but it’s interesting to see how the Bowie / Lennon friendship may have led to the song we know. And of course I failed to mention the most obvious thing, which is that Bowie and Lennon collaborated at the time. It was my luck to be coming of age in a family-owned record shop, and I had “Heroes” the day of its U.S. release (and the rest of Bowie’s catalog in extremely short order). And from that day to this “Joe the Lion” has been my absolute favorite Bowie song. It’s an absolutely staggering piece of work. I’ve only just discovered your site and I’m so happy to see such in-depth, substantive work being done on Bowie on a song by song basis. The writing is elegant and the research admirable and appreciated. In view of a few questions here about the lyric I decided to scan and post it as it appears on the original lyric sheet. This is the copy I purchased on the day of the album’s release in 1977. This site quotes Fripp as saying that he was actually in Berlin for a week, but is this accurate? The site’s reliability is hurt by the fact that it identifies Tony Visconti as Fripp in a photograph caption. Which is not to say that it doesn’t reference Burden. I’m curious as to who is actually responsible for the chugging riff that carries the song. if the three-note ‘blues’ counterpoint is Fripp, does that mean the main riff is Alomar? And if so, what does Fripp really contribute to this song besides some background noise? Interestingly, in this video (https://www.youtube.com/watch?v=XlyJ-v871Og), Fripp says his parts were recorded in 3 days. Fripp is 68 by this point, but he has pretty good memory, on the other hand, the way he talks about his performance here (and reiterated on other places) it’s as if “Heroes” was his first time playing guitar after returning from Sherborne House, but he played guitar on Peter Gabriel’s solo debut, and those sessions wrapped up 5 months before “Heroes” started recording. BTW, what is the 6th track he plays on? I’m pretty sure he on side 1, but he doesn’t seem to be in either V-2 or Arabia. Can we be sure that Fripp played on “Joe”? The restrained leads smack much more of the Alomar touch, to my ear. “Distinctive lead guitar intro, little if any effects”. I would put a lot more stock on the heavily-distorted riffery that is stereo panned right of Bowie’s vocal being Fripp’s comtribution, especially towards the coda, when it spins out of control, melodically and scalistically. Which means to me that he was there for the sessions cutting the basic rhythm tracks for that gem. 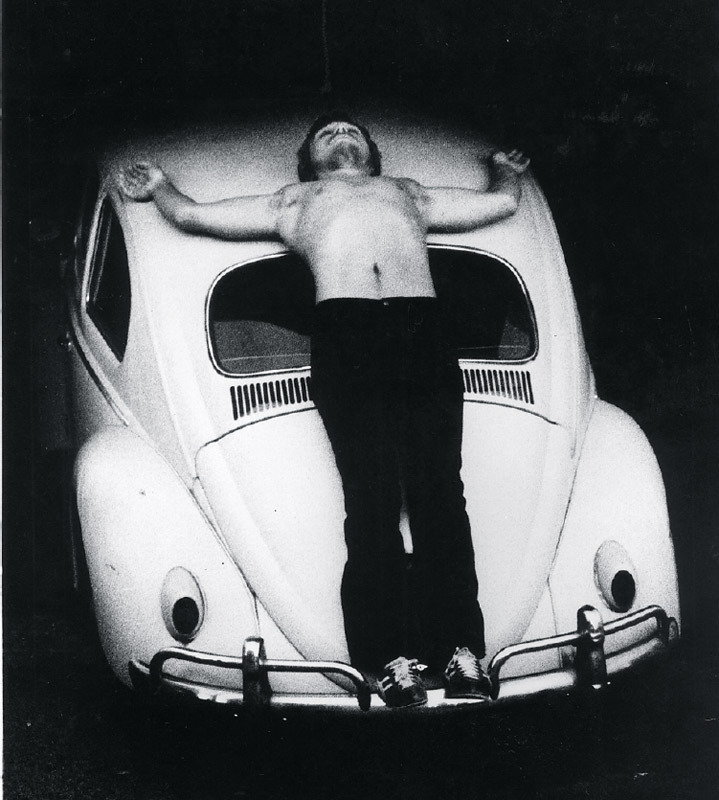 Chris Burden’s work is analyzed in detail in the book “The Art of Cruelty,” along with art of a similar ilk.